Easily smooth fondant on your cakes using the Wilton Fondant Smoother. Its softly curved front edge prevents marking the fondant surface while the squared back of the smoother creates a straight edge along the base of the cake. Redesigned for an easier-to-hold contoured handle, the fondant smoother is designed to make the fondant-smoothing process more comfortable. It's so easy to have a perfect-looking fondant-covered cake ? 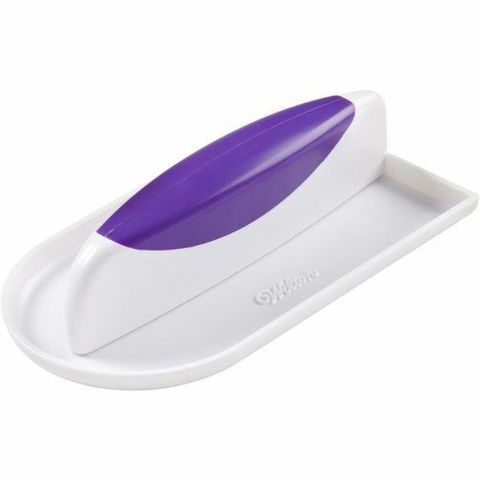 once you've covered your cake with fondant, smooth the sides of the cake and adhere the fondant to the buttercream under layer using this fondant tool. Smoother measures 3.25 in. x 5.75 in. (8,2 cm x 14,6 cm). Easily smooth fondant on your cakes using the Wilton Fondant Smoother. Softly curved front edge prevents marking the fondant surface; squared back creates a straight edge along the base of the cake. 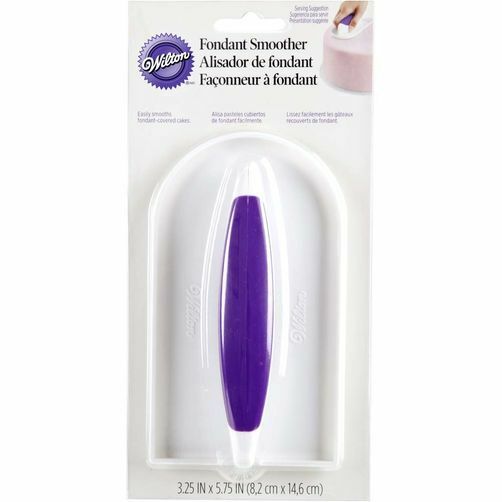 Redesigned, easier-to-hold contoured handle makes the fondant-smoothing process more comfortable. Easy to use ? cover your cake with fondant then smooth the sides of the cake, adhering the fondant to the buttercream under layer.